At Vizlib, we are great advocates of Hackathons, especially when they revolve around the use of data analytics using Qlik. It's a great way to exercise your skillset for a good cause and have fun and meet new people who are just as passionate as you are. As some of you already know, we have already sponsored and attended one Qlik Hackattack at Qonnections 2017 this year (Link) so it was a natural for us we agreed to support this year's Qlikathon which took place on the 1st-3rd of December in Warsaw at Qlik's offices. Together with sponsor hogart, we awarded the team who made the best use of our Vizlib Library with a $210 Amazon Voucher. Pizzas, hard work and a great spirit are usually the requirements to successfully survive a Hackathon. Working on your solution can be quite tiring but nothing beats the moment when you get to finally present your work to the audience and to the journey. An even better feeling than winning is an accomplishment. 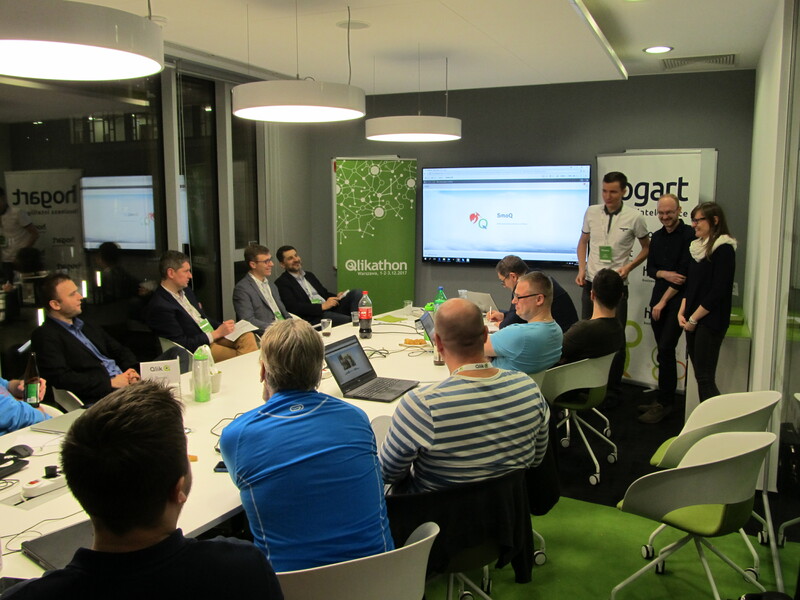 In a hackathon, everyone who's delivering a result is considered a winner, but there is no competition without a clear solution which trumps all others: One implementation of a data-driven analysis in Qlik Sense of smog levels in Poland impressed the jury the most and we would like to congratulate the winning team of SmoQ/BestJSii! An example sheet of their app can be seen here, which makes a great use of Vizlib's Activity Gauge chart. Looking forward to seeing many other Qlik offices around the world, partners and QlikDevGroup leaders to follow through and organize similar events in 2018!